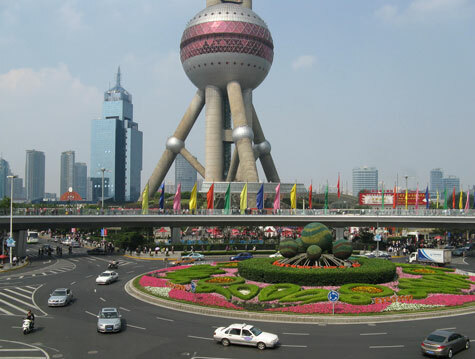 Famous landmarks in Shanghai include Nanjing Road, Oriental Pearl TV Tower, the Bund and the World Financial Center. Other top city attractions are Old Shanghai, Century Park, the Ocean Aquarium and the Yu Garden. Popular museums in Shanghai are the Bund Museum, Science Museum, Insect Kingdom and the Urban Planning Museum. Shanghai is home to several international hotels. They can be found in the city center and near both Shanghai airports. It is easy to get around Shanghai thanks to the efficient metro system. The city also has a beautiful new international airport.